The John Hughes Group along with Hyundai Australia have brought the first car sharing program to The University of Western Australia. The Car Sharing Program is a WA first, and has been developed by Scarborough-based Sunset Rent a Car and St George’s College. UWA has launched this program in an effort to make parking more accessible to staff, students and visitors. The main focus was to provide an alternative for students who don’t have their own car or parking spot at UWA. There are six Hyundai i20 cars available for students, staff and visitors to use when they need. To book a car, you must have a car sharing membership (free until June 30). With this membership you can then go online from your computer, phone or tablet and use the booking system. Convenient, bookings are made online. Accessible, all students, teachers & visitors can sign up. Sustainable, less cars on the road. That’s right, if you’re apart of the UWA community you could sign up for free until June 30. Memberships after June 30 will be $50 per year. It’s a fast, easy and convenient alternative to public transport, allowing reservations to be made from your computer, phone or tablet, with as little a 15minutes notice. Bookings can be made 15 mins prior or weeks in advance. Secure a booking online through your computer, phone or tablet. 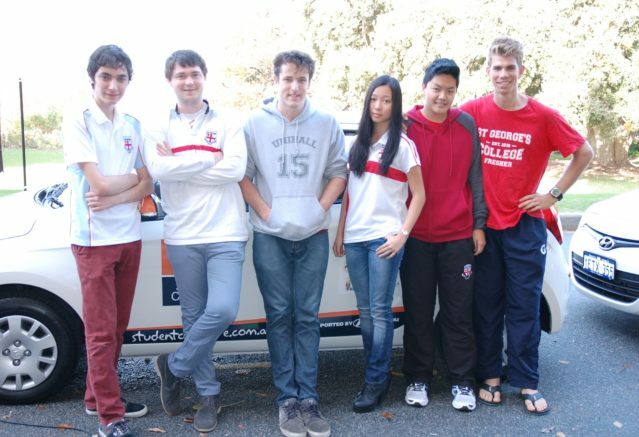 The John Hughes Group are proud sponsors and supporters of the car sharing program, allowing a cheap, sustainable and convenient service for students, staff and visitors from UWA.